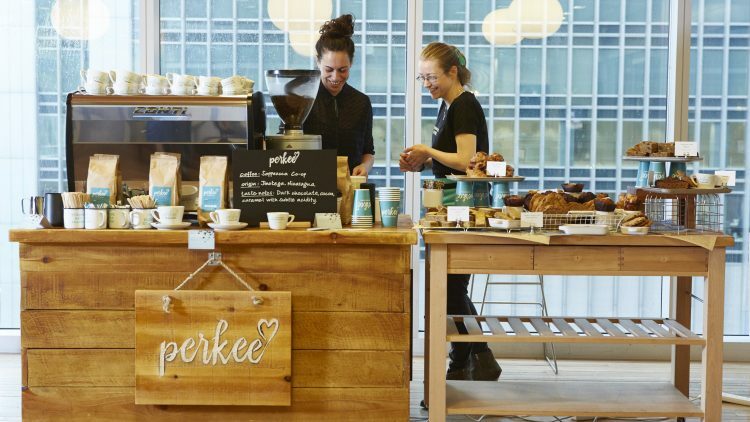 bartlett mitchell, one of the UK’s leading independent caterers, has today announced the sale of its 500,000th cup of Perkee – a premium sustainable coffee launched just over 12 months ago. As part of a collaboration with Soppexcca, a Nicaraguan-based co-operative, the coffee was first launched during Fairtrade Fortnight last year, with the aim of providing bartlett mitchell customers with a unique, ethical and tasty coffee. Since then, bartlett mitchell has introduced the coffee to more than 40 of its sites, making it the best selling product line across the business and accounting for more than a quarter of the company’s coffee sales. The brand is supported with a broad range of merchandising and uniforms, alongside an extensive training programme aimed at both staff and customers. The collaboration was initiated following market research conducted by the bartlett mitchell team at the beginning of last year. The research, which was done in partnership with Bewleys, found that customers were looking to move away from big coffee brands whose reputation had been damaged due to issues around tax and sustainability. The research also found that customers were keen to support coffee brands which were committed to sharing profits directly back to source. 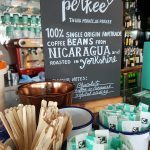 With dark chocolate and caramel notes, Perkee is a single origin coffee using only 100 per cent Arabica beans from Nicaragua that is roasted in Yorkshire. Funds raised through purchases provide support towards education, diversification and health centres in the local Jinotega community where the Co-Operative members are based. The co-op (which is nearly 40% female run), is led by its general manager Fatima Ismael and aims to improve the lives of its members and the community. Lin Dickens, marketing director, bartlett mitchell, said: “When we first set out to develop our coffee range, we not only wanted it to be ethical and fairtrade but we also wanted to make sure it tasted good. We were absolutely delighted when we found the right blend to launch into our client venues, and even more delighted when we saw how popular it soon became.